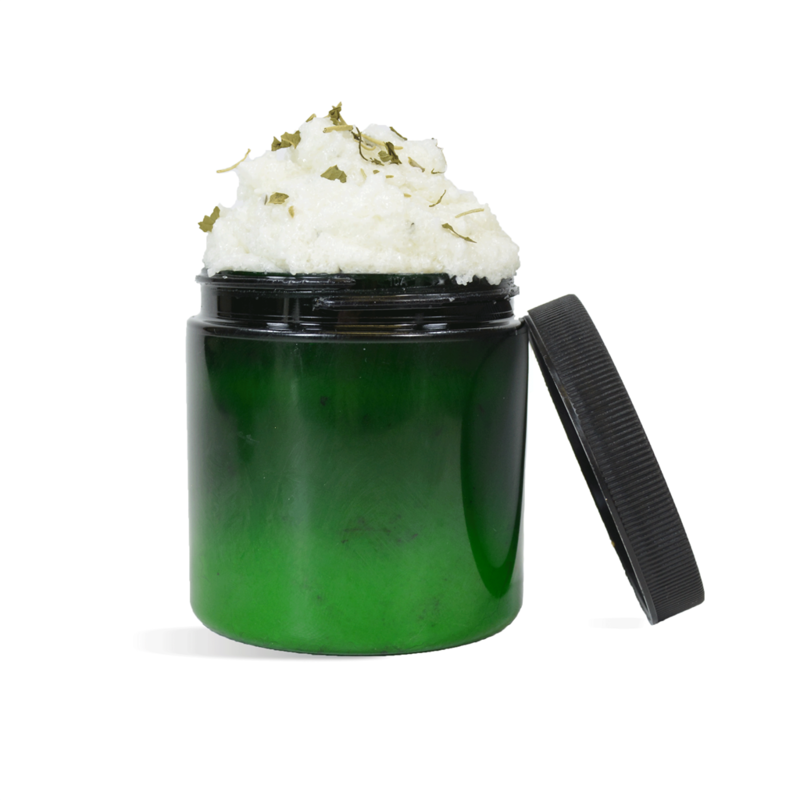 The soothing smell of rosemary and peppermint with a blend of butters and sea salt makes for an exfoliating and soothing foot scrub. 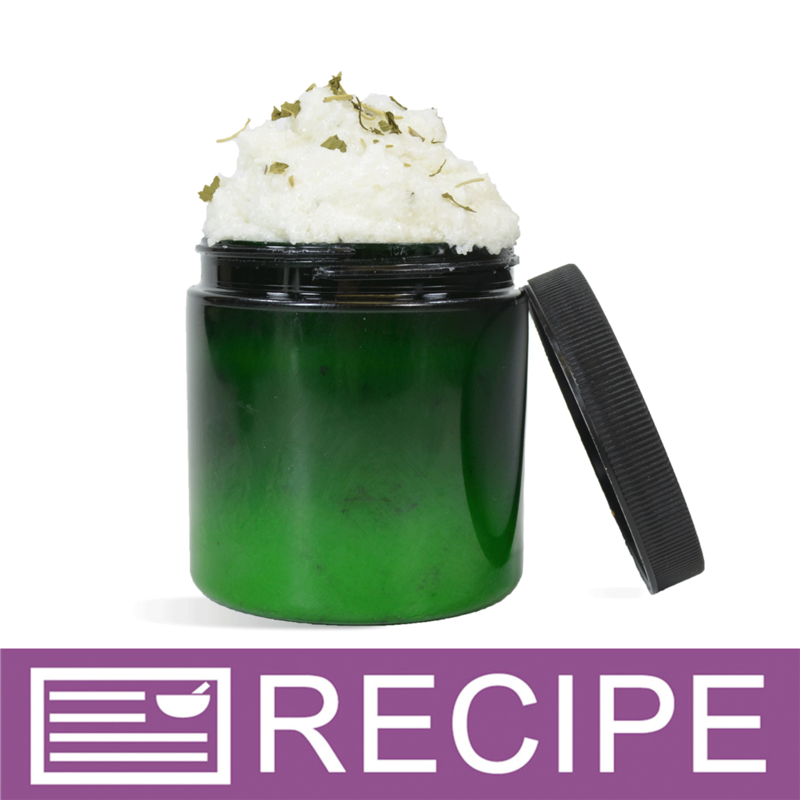 A pampering foot scrub great for any time of year! You Save $22.80 by purchasing this kit rather than buying the items separately. Sea Salt, Aloe Butter, Olive Pomace Oil, Fragrance, Peppermint Leaf, Rosemary Leaf, Phenoxyethanol, Methylparaben, Ethylparaben, Butylparaben, Propylparaben, Isobutylparaben. "Scent is Great, but Performance is Just Okay"
COMMENTS: I bought this kit when it was 50% off. I love the scent and packaging included, and the instructions were clear and easy to follow. However, I find that the base is a little heavy. I know this is intended as a foot scrub, but the product is very heavy and leaves a very thick film behind that I feel you must wash off. Also, the peppermint leaves and rosemary sticks to the residue and is kind of gross. I'd also love to see WSP include labels with these kits. COMMENTS: Just finished up making this one! Very easy to make, clear directions & easy to follow. I havent gotten a scale yet but was able to fill thec5 jars included & a small glass jam jar I had. I added clove to 1 as it was requested. Would definitely recommend getting this one if you are starting out you soap or scrub venture! 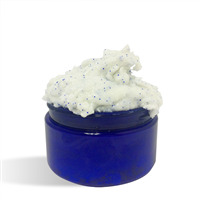 "Pls, give suggestions on what to add to this Rosemary scrub kit, to prevent drain clogs. An emulsifier? and or a soap ? I posted a question before, but it seems to have disappeared." Staff Answer An answer was posted for previous question. Thank you.